I had so much fun making the Easter Banner for the Spellbinders™ Bunny Hop that I got out my dies and made matching notecards. Wouldn’t these be so adorable attached to Easter baskets and Easter gifts! I used Spellbinders Lacey Squares dies that coordinate with the Lacey Pennants dies for the card backs. 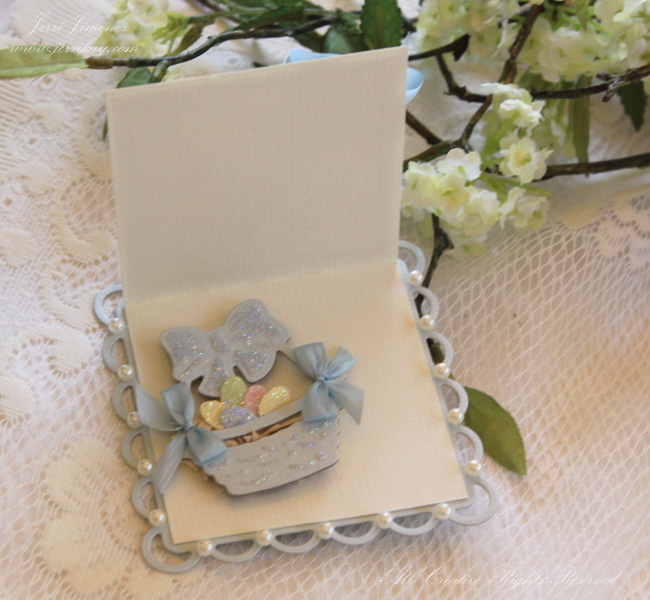 I made the little flowers with the small flower die in the Easter Fun dies. To make the card fronts, I cut cream cardstock to fit within the lacey square, scored it, folded it in half and adhered it to the lacey square. I photocopied the images from my sons’ old Beatrix Potter Giant Story Book, cut to size, stitched around the edges and sponged a bit of Vintage Photo Distress Ink around the edges. I placed pearls on the scallops, as well as inside the bow. I made baskets with the eggs and placed them inside the notecards. You can find the basket with eggs tutorial here. This is so precious for a little girl’s Easter basket. The pink is so soft and sweet, almost the color of cotton candy. I love the lacey dies and will be placing an order soon for more of them! A precious card for a little boy’s basket. And wouldn’t this one be adorable for an infant’s first Easter! Using the Grand Calibur made this project a snap, it’s a big time saver being able to pass several dies through the machine at once. Paper: Light Green, Light Blue, Light Pink, Light Yellow, Cream and White cardstock. Thanks so much for stopping in today, I love your visits! Oh my Jerri, they´re so gorgeous, and sooo much more than “just” a notecard. I think, they´re small masterpieces, and there´ll definately be some very happy kids in your house for Easter, that´s for sure. I totally agree with you, that these lacey dies are awesome, and I really think, I “need” to get some of these too, as they looks stunning. There always seems to be some more of these, I just “need” to get too ha ha ha. I love these, you really did an awesome job once again hun. Have a wonderful day and thanks so much for sharing these beauties with us. Hi Jerri, when are you going to have grandchild? LOL!! The cards are lovely and I love the lacey dies too!! I have 2 of them and am loving them!! Just went to Post office to get my crafting parcel and I have to start using them soon as they are piling up in my study! 🙁 Thanks for all your beautiful work!! What kind of drugs are you on? This does not have anything to do with Jerri’s beautiful creations. If you can’t say anything nice, don’t say anything at all. Oh my giddy aunt!!!! 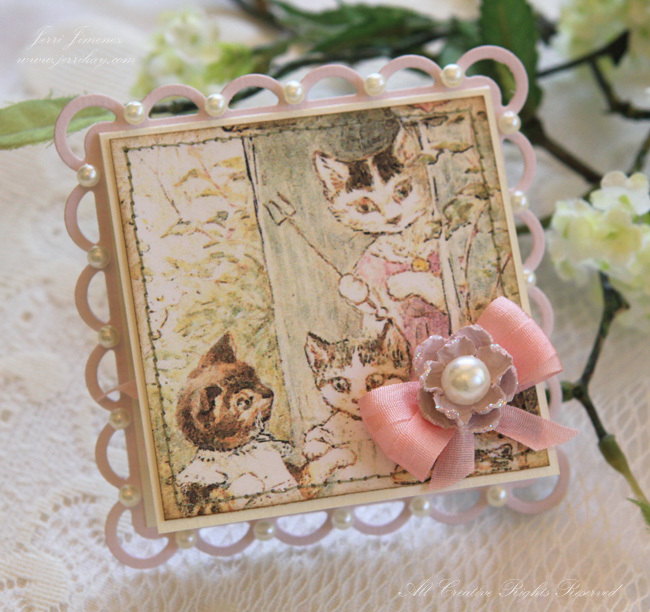 These are just so adorable…love the dies, the images and the colours you have used. Stunning. 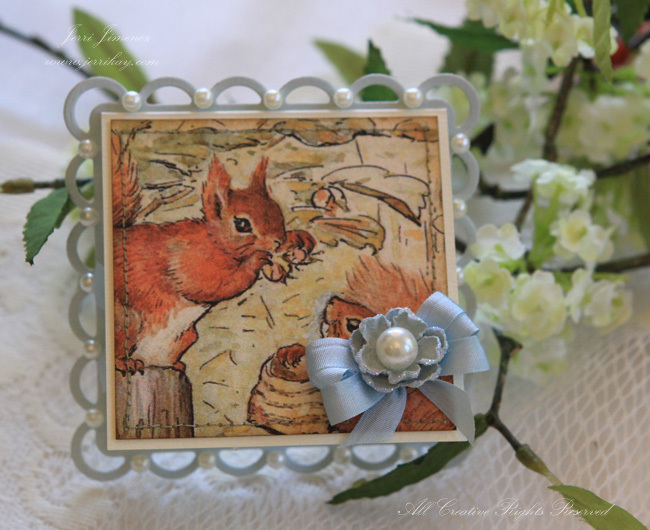 Fab cards as always, don’t know if anyone has mentioned it before but Crafter’s Companion produce Beatrix Potter stamps and CD’s licensed by the original publishers so they are authentic images – save you cutting up or copying your son’s books. (By the way i’m just a crafter nothing to do with the above company. Hope this helps. I especially love the little matching easter basekts inside the cards, Jerri! I love everything about these! They are so cute and elegant at the same time. Well done Jerri ! These cards are just delightful! What a lovely way of celebrating Easter with the little ones. Very very pretty. I love B.Potter! You’ve done so much with that paper. So sweet. Your projects are so beautiful and professionally done. Oh Jerri, those note cards are just precious. I saw at the end of your post “I love your visits”. Well, I love visiting your site, that’s for sure. Always such a eye pleaser! Great job on these, as usual. You start my day! I go on the computer (5am) before work while waiting for my husband to finish up so we can go. I am always so happy to see my inbox with your “Touch of Grace”. I am so delighted to start my day with your inspiration. Simply lovely! Thank you! As a massive Peter Rabbit fan – these are the most adorable things that I have ever seen. The colours are so gorgeous. Where do you get them from? 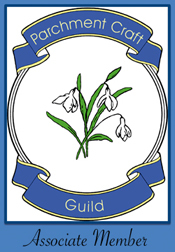 The reason I ask is because in the UK, a company called Crafters Companion have released a whole range under licence with F. Warne, which includes a whole range of CD’s and stamps. This same company has also done the same with the original Flower Fairies. I just love what you have done here – and when you explain it, i actually believe that maybe I could have a try – however, I don’t think they would turn out as exquisite as yours. I am in such awe of your work always, and just catching up on old posts as I’ve not been on my computer for a couple of weeks. Jerri, your work never ceases to amaze me!!! These note cards are adorable!! Jerri, these note cards are gorgeous! I love your idea to put the basket inside them! What a creative idea Jerri. These are so adorable. Those are the cutest things ever. 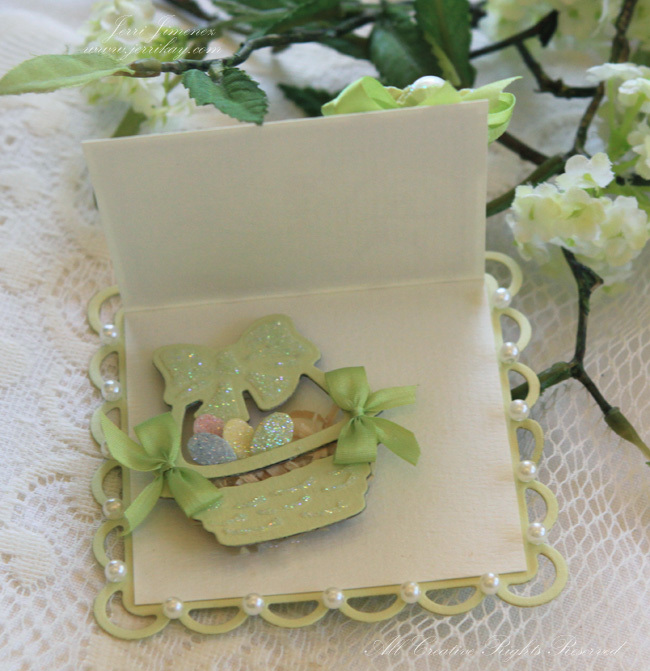 I always like to put a little something on the inside of my cards and the little Easter baskets inside are wonderful. Another show stopper!!!!! a very nice little gift for someone too…..ok go ahead you can send them to me…..I will take care of them….and take them off your hands……LOL just wishing…. Congrats on these adorable little notecards! What child wouldn’t be thrilled to own one of these or, their mom! Beautiful work, as always and so inspiring. Thank you for sharing your talent! Jerri, your little Easter cards just melt my heart. Goodness! these are so sweet, i’m in love. These are so precious!! I love how you did the inside of these cards. Absolutely adorable. Thanks for making me smile this morning. Ok you win, I am ordering the cute little basket. All of these are so adorable, would be great Easter cards for grandchildren. And I am “Hopping to IT” Thanks so much for another adorable post. Jerri, these are too adorable. Love the lacey sqaures on the backside. Cute, Cute, Cute!! Just adorable! 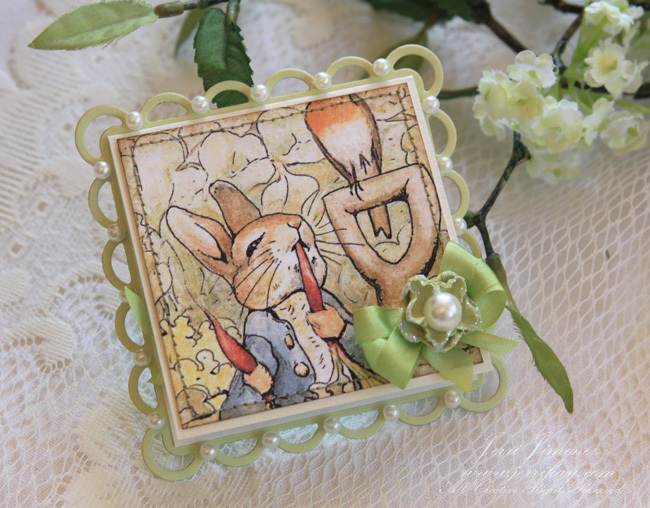 The Beatrix Potter is so very appropriate for these designs! These note cards are so adorable. I love the colors. When I see “Touch of Grace” in my e-mail, I can hardly wait to open it up to see what you have created. I love “ALL” that you do. You are so talented. Thanks for sharing. Beautiuful as always Jerri! I am just so in love with this die template. I might have to buy the square scallop dies. Thanks for sharing. Thanks for sharing! Georgous!!! All your creations are just breath taking. Your work is so impressive!!! Oh I love these, just gorgeous! “Fonda’s” comment above sums it up well! There’s something inside every woman that when she sees these soft baby colors just melts. I love these cards for that reason as well as the craftsmanship What an awesome gift you have developed. These are adorable lil surprises inside a delish goody bag…like See’s candy. These are too cute Jerri.. These little gift cards just plain make me SMILE. Your home must be an Easter Bunny’s paradise with all of your creativitly. Jerri your little note cards are terrific. Thanks for sharing your creativity with us. 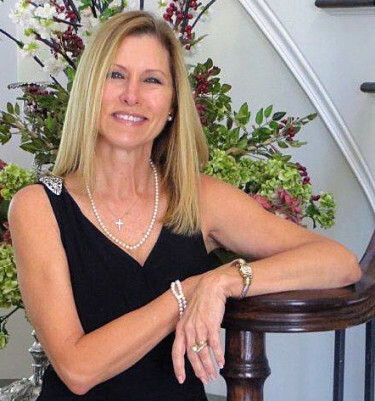 Jerri, you are so blessed with creativity…it is totally amazing!!! Every time you put out something new you did, it’s better than the last. These darling little cards are just so adorable!!! And I don’t even like very much cutesy little projects. 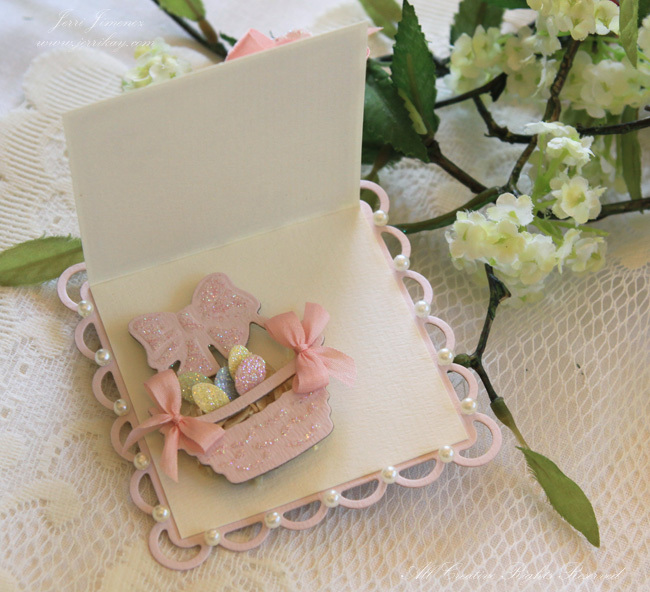 But these are somehow very lovely…getting a little note card like that at Easter would just be so special. Your family and friends will be blessed!!! you are a genius, i love all the things you do, because you put your heart. 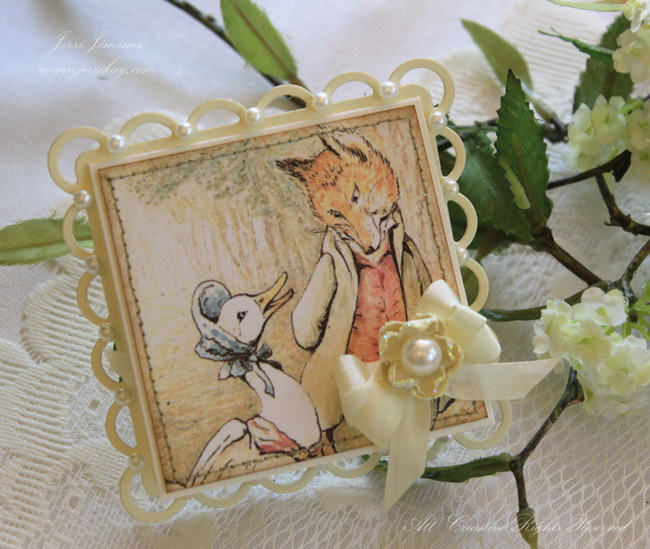 Your Peter Rabbit note cards are just precious! 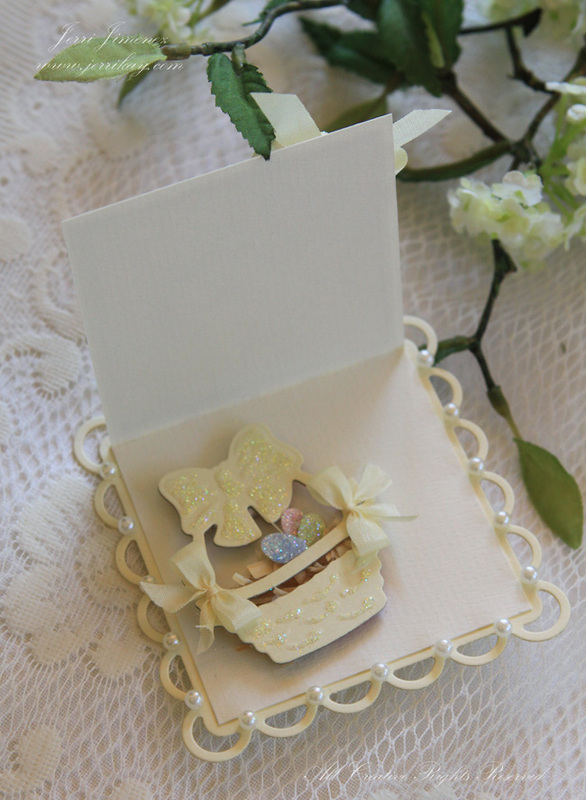 The pearls around the border are such an elegant touch and the little baskets inside are too sweet to be hidden inside! Love them!!!! They would make sweet little gift cards for baby gifts as well with out the little baskets. Just charming. Just precious Jerri! 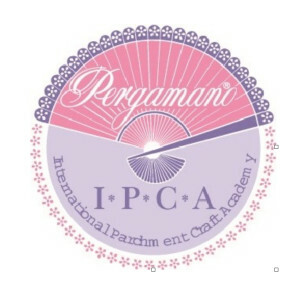 I love this series of designs…! I am excited. I picked up my dies from my LSS today! Jerri,your work is just so magnificent.I love Betrix Potter-reminds me of when my first baby was born. These little note cards are so cute. I will look for the dies and attempt to try this. Thank you for sharing. Jerri, These are TOTALLY GORGEOUS. Absolutely beautiful – i love peter rabbit – these look so professional – but you show us if we put our minds to it – we can create these beautiful things – you are the bomb! So, so cute Jerri! 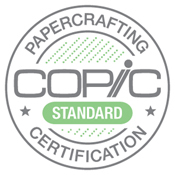 I shared your site with a lady who likes parchment…know she will love it!!! Oh they are all just precious, love your idea of mounting them on the scallop die like that, and all your pearl accents, so pretty! Ok, I am so glad that I am not the only one to ask where you got the Beatrix Potter images. Are the stamped and then colored? Thanks for sharing! Oh Jerri, these are just precious! I feel like I’m looking at a little storybook! They are all so beautiful and sweet. These would indeed be wonderful to give with an Easter basket/gift. Just fabulous, Jerri! These are charming, Jerri! You have put so much work in to the special details making each one a little work of art. Thank you for inspiring me! These are all just super adorable Jerri!! Love your matching flowers and that you added a sweet little basket to the inside!! Charming!! Precious project, perfect gift cards for Easter. Thanks for sharing and a chance to win. 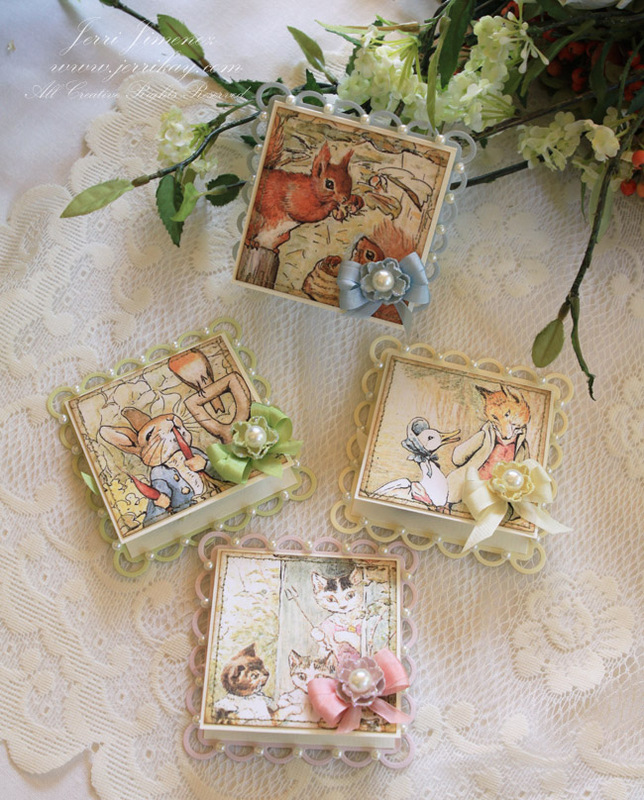 These are the sweetest little cards and I love that you used copies of your childs storybook to add to the front. Love the scallop background. These are wonderful! So soft and pretty. I hope to make these banners for my Granddaughters. 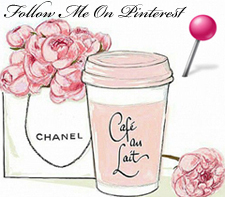 I noticed you have not been posting on your blog, are you OK or have you changed your blog. Really miss your new projects.